October is in full swing and so are the activities of Women Police of Alaska. First, our scholarship committee consisting of Maxine Andrews, Sarah Hieb, Andrea Jacobson and Julie-Dee Sharkey, has awarded a $1,000 scholarship for the 2012-2013 school year to Regan Fitzgerald of Anchorage. Congratulations to Regan! And thank you again to our members in Juneau who worked on the WPA Silent Auction in Juneau in May during the 2012 Alaska Peace Officers Association Training Conference to raise money for the scholarship fund. The 4th Annual Women in Law Enforcement Recruitment Fair has been scheduled and will be held at the University of Alaska – Anchorage on Wednesday, October 24, 2012 from 11:00 AM until 6:00 PM. We help plan, sponsor and attend this annual career fair with the UAA Justice Center, the Alaska State Troopers, and the Alaska Associations of Chiefs of Police. See the advertisement flyer under Police Recruiting Event. Our next meeting will be our biannual membership meeting in Anchorage on Wednesday, December 5, 2012 during the APSC Executive Development Conference. We will have a lunch meeting at our usual location of China Lights 9220 Old Seward Hwy which is conveniently located near the Dimond Center Hotel, the location of the conference. 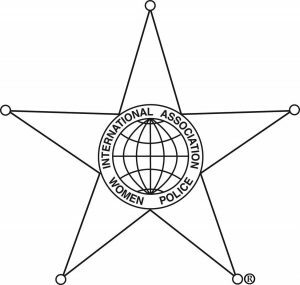 If you have any newsworthy items for our members, announcements, achievements, etc., or any questions or concerns about Women Police of Alaska, please e-mail that information to me, Michele Logan. Be sure to check back to this website from time to time for updates and new happenings. In the meantime, stay safe!